In 2010, FIFA and Coca-Cola selected Somali-Canadian artist Knaan´s popular song Wavin´ Flag as the promotional anthem of the 2010 FIFA World Cup in South Africa. Originally a freedom song written for the oppressed classes of Somalia, K´naan was required to change the lyrics, depoliticizing them for the purposes of commercial advertising. 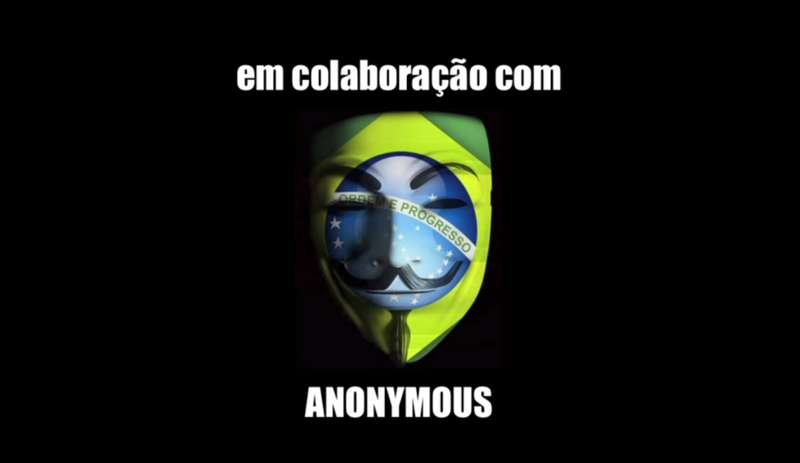 The original freedom song has been revived by Anonymous in Brazil, calling on all Brazilians to take to the streets and protest the looting of the country by the international mafia at FIFA, who has imposed a ´state of exception´ in the country, creating militarized and exclusive spaces, squelching civil liberties and violating a number of citizen´s constitutional rights. While the extraordinary cost of hosting the World Cup is paid for with Brazilian public monies, FIFA is exempt from all taxes, and will take all of the profits, leaving a legacy of debt in a country that lacks many basic public services. Join us in the streets to protest against this heist perpetrated by FIFA upon the Brazilian people. The people united will never be defeated.